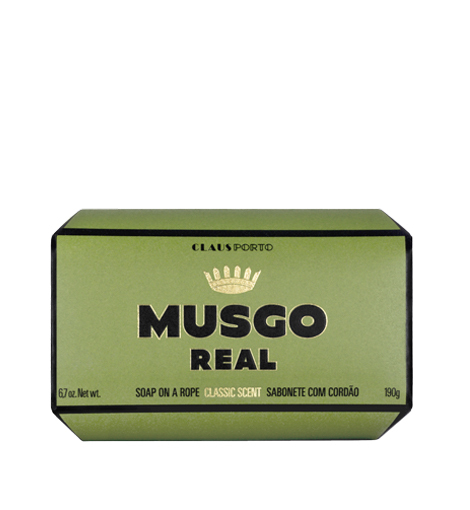 Musgo Real Soap on a Rope in the Classic Scent revisits the retro Soap on the Rope style, which is still popular even today. Hand-made in Portugal by Claus Porto, this soap is green yet slightly musky, perfect for any man who enjoys a wonderful bar of European, hand-crafted soap! This company was awesome to deal with. I loved my product and their expertise. I'll definitely order from them again. Loved them.